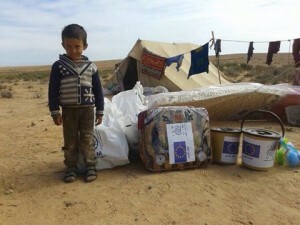 Some 200,000 of Libya’s half million internally displaced people (IDPs) have so far been able to return to their homes, the majority of them to Benghazi. Besides Benghazi, Abu Slim, Bani Walid, Ajdabiya and Misrata saw significant numbers of returnees. Obari, Abu Qurayn and Kikla also had many people returning home, the UN’s International Organisation for Migration said it its latest report. Its research, carried out in January and February this year showed most people have managed to return to their original homes while a small minority is either in new accommodation of living with relatives. The IOM found that relations between IDPs and the locals where they have sought refuge are good to excellent Some municipalities reported that the arrival of outsiders had helped local labour markets and boosted economic activity. “DTM Reports provide Libya with common and evidence-driven narratives, ensuring that there is no information gap on any part of Libya,” Salmon explained. Among the indicators covered, DTM looks at health, education, work, nutrition, public services, security and community relations between residents, IDPs and returnees.